First, for the sake of your fate, you ought to seek to be approved by God. That is to say, since you acknowledge that you are numbered among the house of God, you ought then to bring peace of mind to God and satisfy Him in all things. In other words, you must be principled in your actions and conform to the truth in them. If this lies beyond your ability, then you shall be detested and rejected by God and spurned by every man. Once you have fallen into such a predicament, you cannot then be counted among the house of God. This is what it is meant by not being approved by God. Secondly, you ought to know that God likes an honest man. God has the substance of faithfulness, and so His word can always be trusted. Furthermore, His actions are faultless and unquestionable. This is why God likes those who are absolutely honest with Him. Honesty means to give your heart to God; never to play Him false in anything; to be open with Him in all things, never hiding the truth; never to do that which deceives those above and deludes those below; and never to do that which merely ingratiates yourself with God. In short, to be honest is to refrain from impurity in your actions and words, and to deceive neither God nor man. What I say is very simple, but to you it is doubly arduous. Many would rather be condemned to hell than speak and act honestly. Little wonder that I have other treatment in store for those who are dishonest. Of course, I well understand the great difficulty you face in trying to be an honest man. You’re all terribly clever and adept at taking the measure of a gentleman with your own petty little yardstick; this being so, My work becomes much simpler. And since you each hug your secrets to your bosom, well then, I shall send you, one by one, into disaster to undergo a “trial” by fire, so that thereafter you may become utterly committed to belief in My words. Finally, I shall wrest from your mouth the words “God is a God of faithfulness,” whereupon you shall beat upon your breast and lament, “Devious is the heart of man!” What will be your state of mind at this juncture? I imagine you will not be so carried away with self-importance as you are now. And much less will you be “too profound to be fathomed” as you are now. Some behave in a prim and proper fashion and seem particularly “well-mannered” in the presence of God, yet they turn defiant and lose all restraint in the presence of the Spirit. Would you number such a man among the ranks of the honest? If you are a hypocrite and one who is adept at socializing, then I say that you are definitely one who trifles with God. If your words are riddled with excuses and valueless justifications, then I say that you are one who is extremely loath to put the truth into practice. If you have many confidences that you are reluctant to share, and if you are very unwilling to lay bare your secrets—that is to say, your difficulties—before others so as to seek the way of the light, then I say that you are one who will not receive salvation easily and who will not easily emerge from the darkness. If seeking the way of the truth pleases you well, then you are one who dwells always in the light. If you are very glad to be a service-doer in the house of God, working diligently and conscientiously in obscurity, always giving and never taking, then I say that you are a loyal saint, because you seek no reward and are simply being an honest man. If you are willing to be candid, if you are willing to expend your all, if you are able to sacrifice your life for God and stand witness, if you are honest to the point where you know only to satisfy God and not to consider yourself or take for yourself, then I say that these people are those who are nourished in the light and who shall live forever in the kingdom. You should know whether there is true faith and true loyalty within you, whether you have a record of suffering for God, and whether you have wholly submitted to God. If you lack these, then there remains within you disobedience, deceit, greed, and complaint. As your heart is far from honest, you have never received positive recognition from God and never lived in the light. How one’s fate will work out in the end hinges upon whether he has an honest and blood-red heart, and whether he has a pure soul. If you are someone who is very dishonest, someone with a heart of malice, and someone with an unclean soul, then the record of your fate is certainly in the place where man is punished. If you claim to be very honest, and yet never manage to act in accordance with the truth or to speak a word of truth, then are you still waiting for God to reward you? Do you still hope for God to regard you as the apple of His eye? Isn’t this a preposterous way of thinking? You deceive God in all things, so how can the house of God accommodate one such as you, whose hands are unclean? The third thing I want to tell you is this: Every man, in the course of living his life of faith in God, has resisted and deceived God at some points. 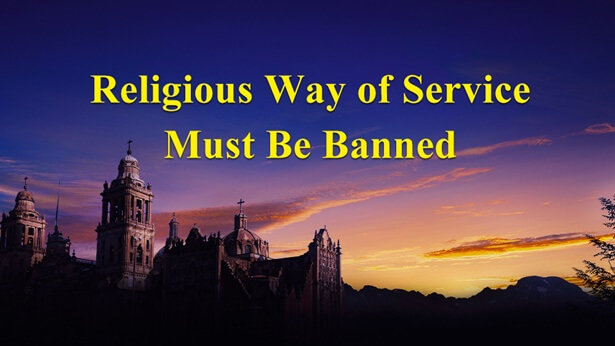 Some misdeeds need not be recorded as an offense, but some are unforgivable; for there are many deeds that transgress against the administrative decrees, that is to say, offend against the disposition of God. Many who are concerned about their own fates may ask what these deeds are. You should know that you are arrogant and haughty by nature, and unwilling to submit to the facts. For this reason, I shall tell you by and by after you have reflected upon yourselves. I exhort you to get a better understanding of the content of the administrative decrees, and make an effort to know the disposition of God. Otherwise, you will find it difficult to keep your lips sealed and your tongues from wagging too freely with high-sounding talk, and you will unwittingly offend against the disposition of God and fall into the darkness, losing the presence of the Holy Spirit and the light. As you are unprincipled in your actions, doing or saying that which you should not, you shall receive a fitting retribution. You should know that, although you are unprincipled in word and deed, God is very principled in both. The reason you receive retribution is because you have offended God, not a man. If, in your life, you commit many offenses against the disposition of God, then you are bound to become a child of hell. To man it may appear that you have only committed a few deeds that fail to accord with the truth, and nothing more. Are you aware, however, that in the eyes of God you are already one for whom there is no more sin offering? Because you have transgressed against the administrative decrees of God more than once and have moreover shown no sign of repentance, therefore you have no choice but to fall into hell, where God punishes man. A small number of people, while following God, committed some deeds in violation of the principles, but after being dealt with and given guidance, they gradually discovered their own corruption, thereafter entered on the right track of reality, and they continue well-grounded today. Such men are those who shall remain in the end. But it is the honest that I seek; if you are an honest person and one who acts according to principle, then you can be a confidant of God. If in your actions you do not offend against the disposition of God, and you seek the will of God and have a heart of reverence for God, then your faith is up to the standard. Whoever does not revere God and does not have a heart that trembles in fear will easily transgress against the administrative decrees of God. Many serve God on the strength of their passion, but have no understanding of the administrative decrees of God, still less any inkling of the implications of His words. And so, with their good intentions, they often wind up doing things that disrupt God’s management. In serious cases, they are thrown out, deprived of any further chance of following Him, and are cast into hell, all association with God’s house at an end. These people work in the house of God on the strength of their ignorant good intentions, and end by angering God’s disposition. People bring their ways of serving officials and lords to the house of God and try to put them into play, vainly thinking that they can be applied with effortless ease here. Never did they imagine that God has not the disposition of a lamb but that of a lion. Therefore, those associating with God for the first time are unable to communicate with Him, for the heart of God is unlike that of man. Only after you understand many truths can you continuously come to know God. This knowledge is not made up of phrases or doctrines, but can be used as a treasure by means of which you enter into close confidence with God, and as proof that He delights in you. If you lack the reality of knowledge and are not equipped with the truth, then your passionate service can only bring upon you the loathing and abhorrence of God. By now you should have figured out that belief in God is no mere study in theology! Though the words with which I admonish you are brief, all that I have described is what is most lacking in you. You should know that what I speak of now is for the sake of My final work among man, for the sake of determining man’s ending. I do not wish to do much more work that serves no purpose, nor do I wish to continue guiding those men who are as hopeless as rotten wood, much less to continue leading those who secretly harbor ill intentions. Perhaps one day you will understand the earnest intentions behind My words and the contributions I have made for mankind. Perhaps one day you will grasp a principle that enables you to decide your own ending. Previous：To Whom Are You Loyal?